Mandyisms : Few battles of my life !!!! Few battles of my life !!!! 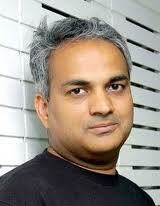 Yesterday I heard Mahesh Murthy first time live :) in NASSCOM EMERGE OUT Pune 2012 and it was an awesome experience. He started speaking in his calm and soft voice about the journey of an entrepreneur. He spoke about eight to ten battles every entrepreneur has to fight and succeed to become an entrepreneur and what an amazing observation. At one point he said and I quote ' Just do what you are destined to do if you firmly believe in what you do, you don't know what ripple effect it will have on the world in the long run'.I literally had tears in my eyes and goosebumps in my stomach. Now I'm almost a 40 year old largely unsuccessful entrepreneur however when introspected my journey I realised though I'm largely unsuccessful in most of my ventures however every failure contributed to make me what I am today. I guess apart from these classic battles Mahesh spoke about I was caught in an additional kind of battle during my every venture and it was trying to do something which is a bit ahead of time. Today I have decided to open the archives of my entrepreneurial journey and share the same with you. My very first business venture was selling Mangoes during my college days. I was probably 17 years old when along with some college buddies I took some 2 Tons of Mangoes to a completely unknown market to sell ( I was living in Konkan that time and I chose Satara a district place some 175 KM away from my home to do this business) that was my first brush with uncertainty, loss, distrust and mistrust and failure I wont go in great details here but this venture taught me how its important to know the market place and tricks of the trade. The next indulgence was selling vegetables to some couple of hundred restaurants and hotels along National Highway No.17 i.e. Mumbai to Goa, when I graduated, I realised the pain point of these hotel owners who could not get fresh vegetables in Konkan at reasonable price so I started buying vegetables from big markets like Pune/ Karad and started selling them to the hotels. I also ventured into cut and pilled plastic packaged vegetable to make their job of storing and cooking easier. I tried to backward integrate my purchases chain to farmers and forward integrate my sales chain to small retailers and even thought of selling ready to cook vegetable for domestic consumption. It was way back in 1996 and due to lack of venture capital needed to build infrastructure, relatively new concept of this format of business my venture could not take that next big leap. After this around 2001, I ventured in FMCG and started dealing with lighting products as Supply Chain Consultant, I realised in near future there is going to be huge scope for energy conservation products and services hence I tried selling energy conservation consulting business. I use to visit big commercial complexes, housing societies, shops and explain them how its important to get their energy audit done and use certain energy conserving products like Electronic Ballast, Motion Sensor controlled lighting switches for basement parking lots, IBMS (Intelligent Building Management Systems) however this time as well people were least bothered about conserving energy. Again this was little ahead of time as you would recollect that in 2010 as a country we were passing through ( and I believe still passing through) one of the worst energy crisis and govt made it mandatory for commercial consumers of electricity to get their energy audit done and take corrective measures to conserve energy. After this due to lot of financial instability I agreed to tie myself in an employment which would help me with a steady bread and butter and joined a Call Centre ( That was the only job available for an Arts Graduate who was good for nothing ) and here I tasted first time in my life global business, its profound and organised system and processes and I soon realised that if Indian wants to become successful in this global business She needs to learn fast and therefore I got attracted to training, learning and education. Since early 2006 I am involved in Technology Enabled Education Business ( e Learning ) working with one company since then :) but now I could feel that the gap between what I always wanted to do and what would work in real world out there is narrowing down !! !